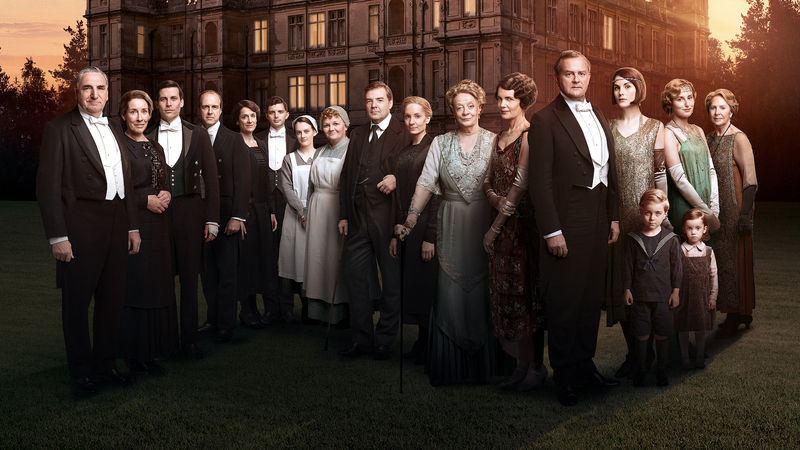 Next September, we can all return to Downton Abbey for a brand-new story featuring some of our favorite characters. In the first teaser trailer for the Downton Abbey movie, which hits the big screen in September 2019, we get just a hint of what to expect from the feature film, which follows in the wake of six seasons of the award-winning television series. The teaser trailer shows familiar scenes from inside the Edwardian English country house, including a service bell, someone signing their name to the bottom of a letter and someone riding a motorbike onto the property. It also reveals a list of characters who will feature in the film, including Lord and Lady Grantham (Hugh Bonneville and Elizabeth McGovern), Lady Mary Talbot (Michelle Dockery), Lady Hexham (Laura Carmichael), the Dowager Lady Grantham (Dame Maggie Smith), Lady Merton (Penelope Wilton), Tom Branson (Allen Leech), Mr. Carson (Jim Carter), Mr. Barrow (Rob James-Collier), Mrs. Hughes (Phyllis Logan), Mr. and Mrs. Bates (Brendan Coyle and Joanne Froggatt), Mrs. Patmore (Lesley Nicol), Mr. Molesley (Kevin Doyle), Daisy Mason (Sophie McShera) and Miss Baxter (Raquel Cassidy). According to Just Jared, other members of the cast include Matthew Goode, Harry Hadden-Paton, David Haig, Geraldine James, Simon Jones, Elizabeth McGovern, Tuppence Middleton, Stephen Campbell More, Kate Phillips and Imelda Staunton. Plot details are scant at this time, though Neame did offer a few teasers in his interview with EW.